In this post, the function of the condenser aperture diaphragm is explained. The purpose of the condenser is to concentrate the light onto the specimen, its diaphragm regulates resolution, contrast and depth of field. the image will lose resolution and becomes darker. It is up to the microscopist to find the optimum setting of the aperture diaphragm, but for optimum resolution the setting of the diaphragm should be more or equal to the numerical aperture of the objective (this value is printed on the objective). 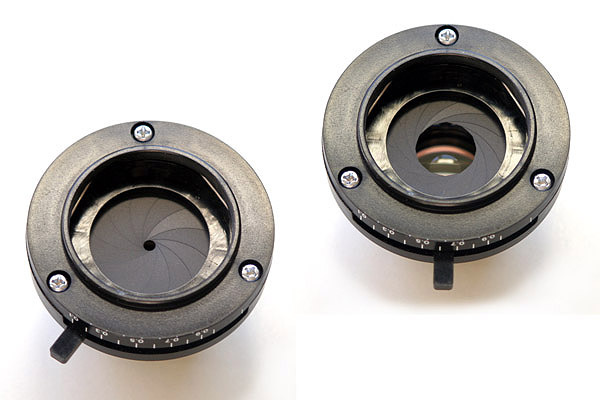 Many beginning microscope users prefer to generally close the aperture diaphragm all the way. The image possesses more contrast and subjectively appears more crisp. The image looks less “washed-out” The increased depth of field also makes it easier to find the plane of focus. 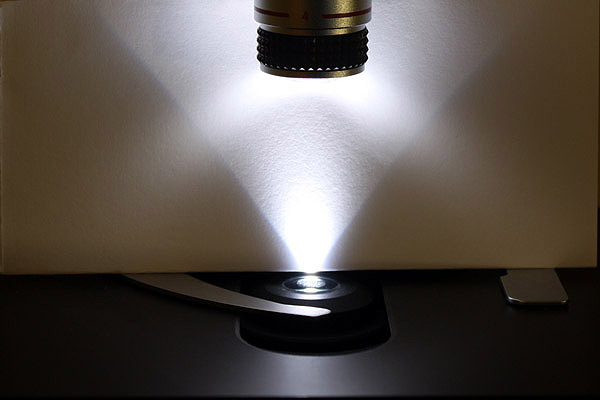 Dust grains on the cover slip or on the optical surfaces start to become more pronounced and may give the impression that they are part of the specimen. Structures become more pronounced than they actually are. The larger depth of field may result in some structures covering up other structures that are in front of, or behind them. The larger depth of field causes structures overlap more and it becomes more difficult in determining the layer in which they are located. Last but not least, the maximum possible resolution of the objective is not used. Left: a closed condenser diaphragm (set to a low value); Right: an open condenser diaphragm (set to a high value). Both condensers are shown from the bottom side. An opened condenser diaphragm increases the angle of the light beam. 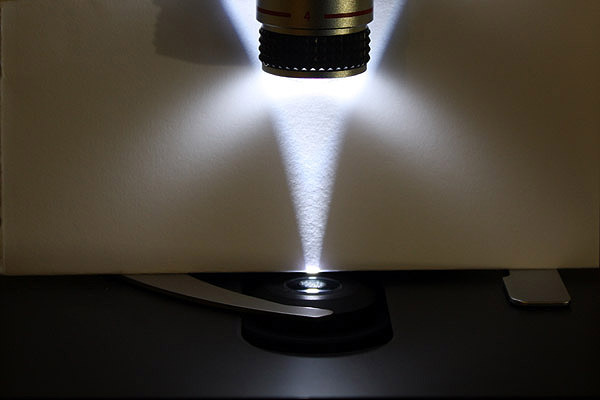 A closed condenser diaphragm decreases the angle of the light beam. Notice that opening and closing does not change the width of the beam where it exits the condenser.